I had expected it. Lots and lots of lobster. Before departing for Cape Breton in Nova Scotia, I told everyone that I planned to eat nothing but the rich crustacean for five days straight. Cracked and dipped in butter, tossed in mayo dripping off a roll, soaked in various forms of creamy seafood chowder… I was ready for it all. But I also had memories of bland boiled dinners at my grandparents’ home — both of them Bretoners who had moved to Ontario long before I was born but were my gateway to maritime culture. My grandfather used to joke about eating “Newfie Steak,” which was just grilled bologna, or “Prem and chips”—Prem being a version of the equally questionable Spam canned meat. Lobster was the only gourmet Island food that I knew. Whenever one of our relatives visited us from Nova Scotia, our dinner table was invariably covered in newspaper and scattered with lobster bits and bottles of beer. So of course, my recent trip to Nova Scotia was lobster-loaded, in all those forms imagined. But I also discovered a thriving food and drink scene along Cape Breton’s Cabot Trail, where lobster is just the beginning. Perched above the beach at Inverness is Cabot Links, a golf course that just opened in 2012, but is already praised as one of the best in the world. It’s also the only true links course in Canada, and sits on the sand dunes and hills that bury Inverness’ abandoned mine shafts. The golfing is superb—or so I’ve been told. 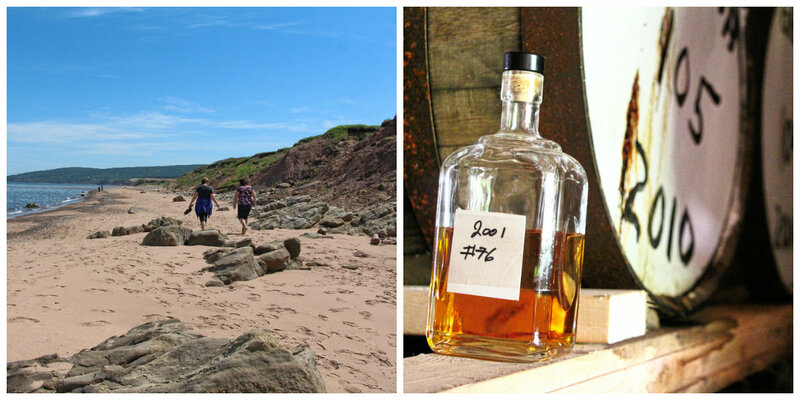 Rather, I was at Cabot Links for two non-golf experiences: the scenery and the food—ideally, experienced together. 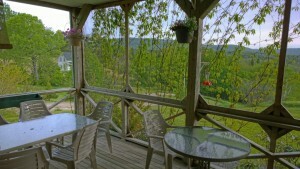 Despite being on the east coast of Canada, the position of Inverness on the west of the island means you can watch the sun set into the ocean during cocktail hour on the patio (hint: go local with a glass of Glen Breton whiskey from nearby Glenora Distillery) or over a leisurely dinner in the windowed Panorama restaurant. Panorama features the kind of fine dining fare expected in cosmopolitan cities rather than this former coal mining village. That is, until you realize how much of the menu is sourced from the very shores you’re sitting on. Local oysters, seafood chowder, butter poached lobster, roasted Atlantic halibut, Cape Breton cod… and that’s not even the entire menu, which also boasts land options like Nova Scotia lamb and braised beef short ribs. 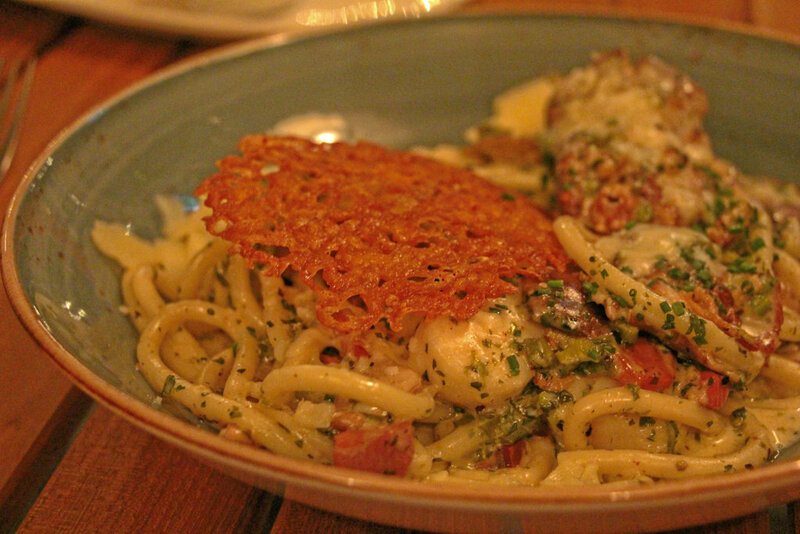 Part of me melted on my first bite of the Digby scallop bucatini (below), a creamy, melt-in-your-mouth pasta dish with those massive yet tender scallop medallions Nova Scotia is famed for. It makes sense, in hindsight, that Nova Scotia and Cape Breton would feature some of the world’s best seafood. 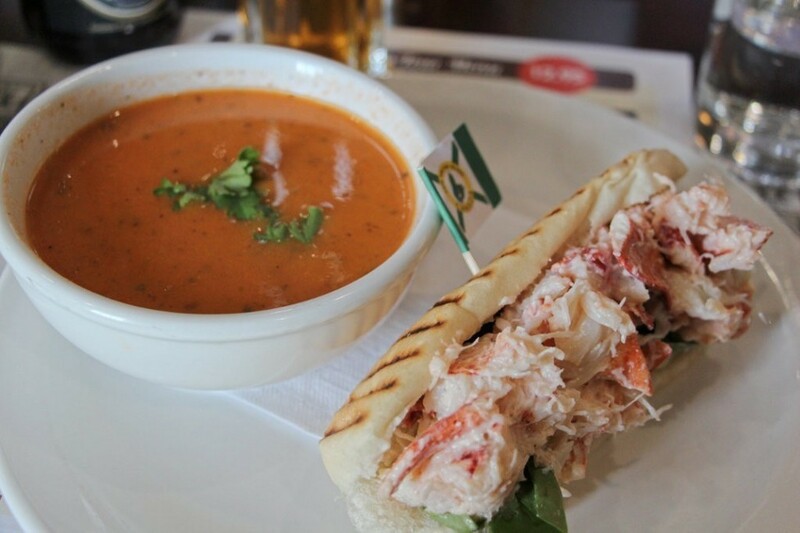 Their lobsters are renowned, their scallops have put the town of Digby on foodie maps, and their chowder is as much a part of the culture as tartans and the fiddle. So I’m not sure why I was so surprised by the food. At first, I blamed the memories of all those boiled dinners, but my travel mates also agreed they hadn’t really expected gourmet dining here. Gorgeous scenery, yes; stomping ceilidhs, of course. But world-class cuisine? Clearly, we had had a lot to learn. Across the Cabot Trail, another resort has merged Cape Breton’s perfect golf terrain with its equally perfect seafood scene. Keltic Lodge in Ingonish is the kind of old-world retreat that transports you back to the 1940s when the property first opened. While Cabot Links is sleek, modern and trendy, Keltic Lodge is simultaneously rustic and glamorous. Tennis courts, coastal hiking trails and an AVEDA concept spa offer something for those who don’t want to hit up the Highlands Links Golf Course, named one of the top 100 courses in the world. 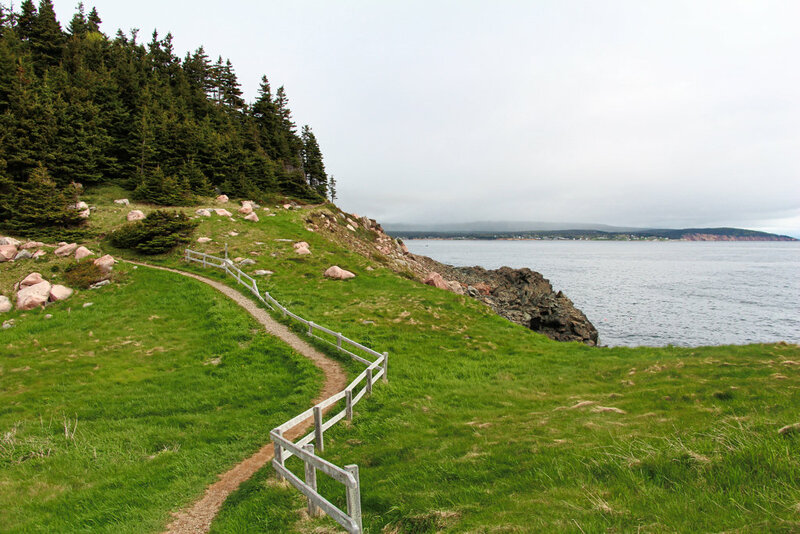 Hike the Middle Head Trail (below) behind the main lodge to the tip of the peninsula and you’ll have a view of fishermen heading out to sea—perhaps even pulling in that night’s dinner. Like just about everywhere on Cape Breton, dinner is served alongside sweeping views of forested mountains and the ocean—reminding you with every bite of where your plate started. In the Purple Thistle Dining Room, the menu is like an encyclopaedia of local sea creatures: monkfish, lobster, halibut, oysters, scallops, snow crab, mussels and clams (those last two served up in the most Canadian of sauces, a Caesar cocktail-inspired broth). I opted for the halibut (below), garnished with smoked sea salt, tomato relish and olive tapenade—light, flavourful and as fresh as could be. 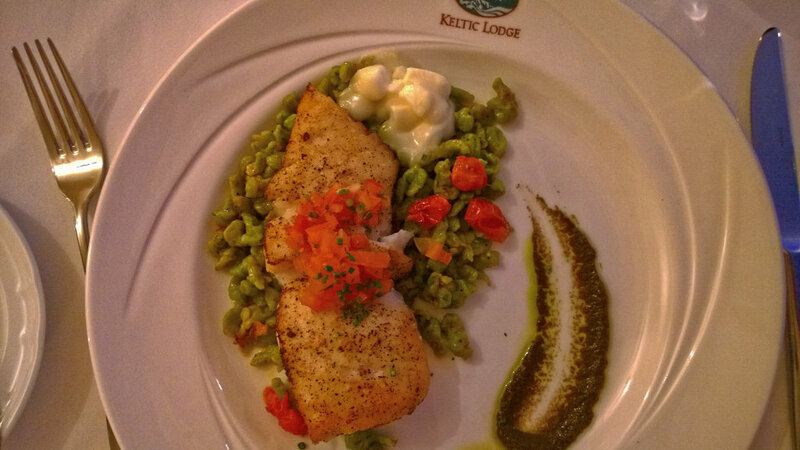 It’s that freshness that gives Cape Breton an advantage when it comes to culinary excellence. Sure, fish can be shipped to central cities in a day, but it’s just not the same as tasting something that came from—in some cases, quite literally—a restaurant’s backyard. Not only that, but there’s a vibe to dining in Cape Breton (actually, more like there’s a vibe to just being in Cape Breton). Time slows and life just feels more intimate. Conversations open up and silences are savoured. And all the while, whether you’re out exploring the Highlands or simply at the dinner table, you can sense that the land and sea have always called the shots. 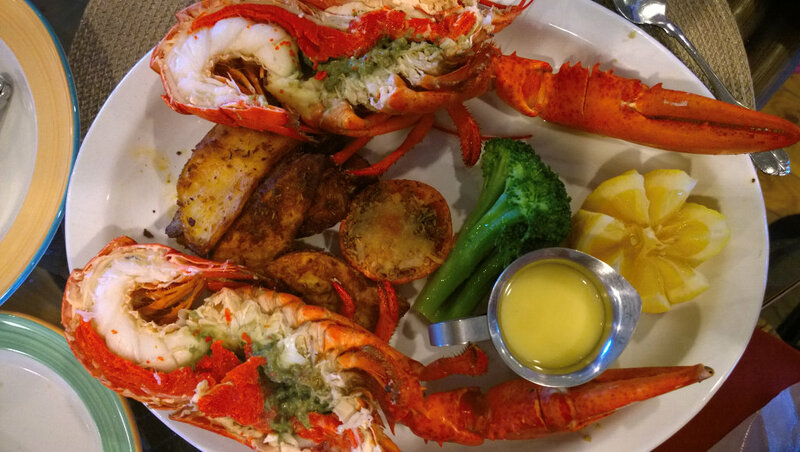 Naturally, Cape Breton’s seafood takes most of the region’s culinary credit, but the land serves up equally delectable finds. Blueberries, cranberries, fiddleheads and wild mushrooms are all island staples, often growing wild up the hillsides. 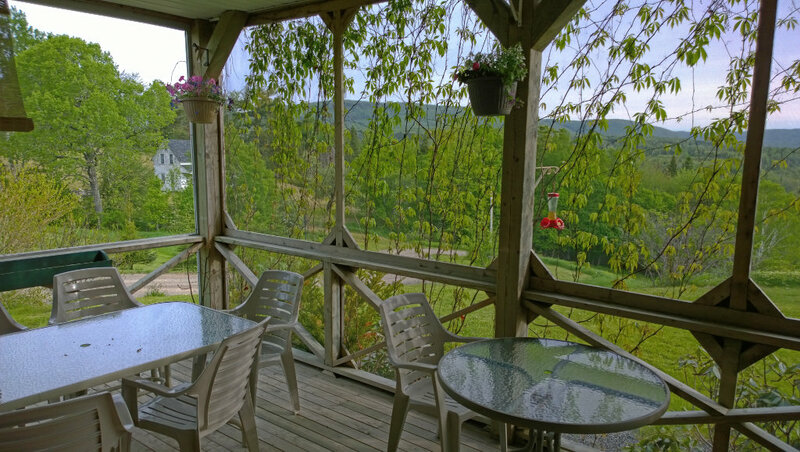 At the Chanterelle Inn and Cottages in Baddeck, a place so quaint and cozy you’ll feel instantly at home, owner Earlene Busch offers guests an eco-friendly retreat and a 100-kilometre menu that changes with the seasons—or with whatever’s available at the market that day. On the afternoon we arrived, Earlene served us dishes such as cream of fiddlehead soup, duck confit, polenta Florentine, bouillabaisse and crab bisque. All of it had the unmistakable flavour of food prepared fresh and on a small scale. It tasted—and felt—like we were eating in someone’s kitchen rather than the dining room of a hotel. Maybe it was the sense of intimacy in that home-cooked meal, or that my travel mates and I had spent the late afternoon sharing beers (I recommend the local Cereal Killer Oatmeal Stout by Big Spruce Brewing) on the screened-in porch as dusk fell, or that we had been on the road together for a few days by this point. But that dinner—our last one before heading back to Halifax and flying our separate ways home—seemed to sum up what Cape Breton is all about: friends, food and familiarity, just like those lobster dinners from my childhood that I still remember to this day.